Glass bottle (empty) with printed label. 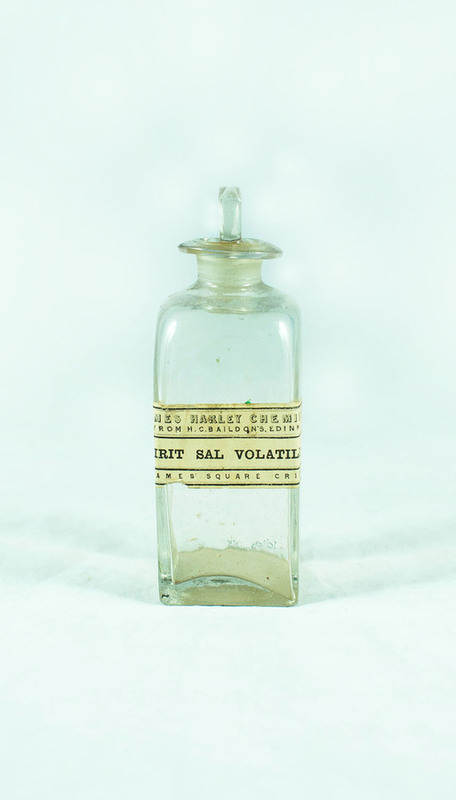 Previously contained spirit of sal volatile (i.e. smelling salts). Part of George III mahogany apothecary's box. 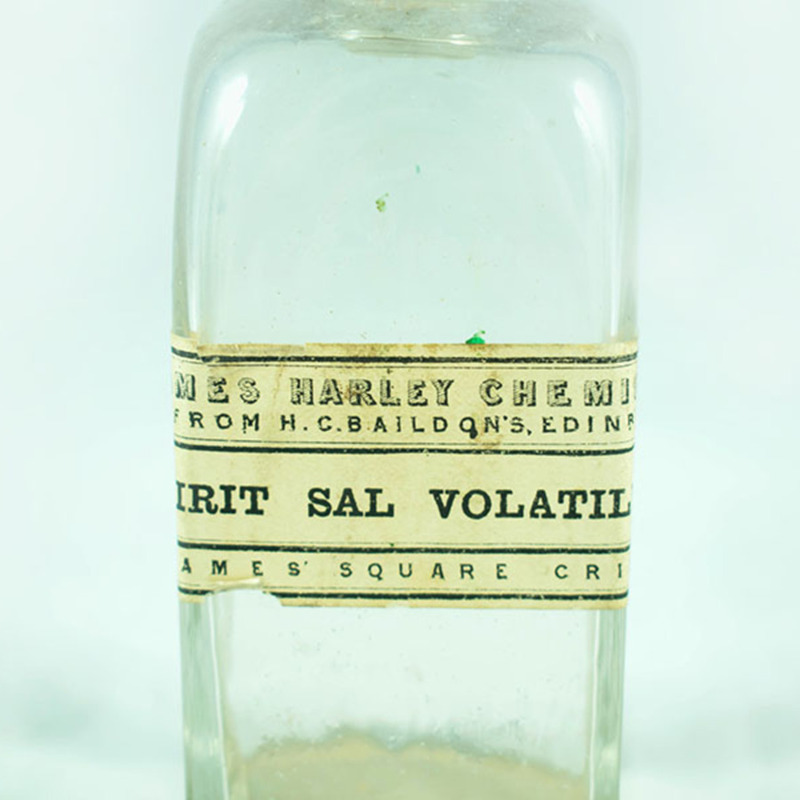 James Harley, chemist (from H.C. Basildon's Edinr). Harley; James (fl. 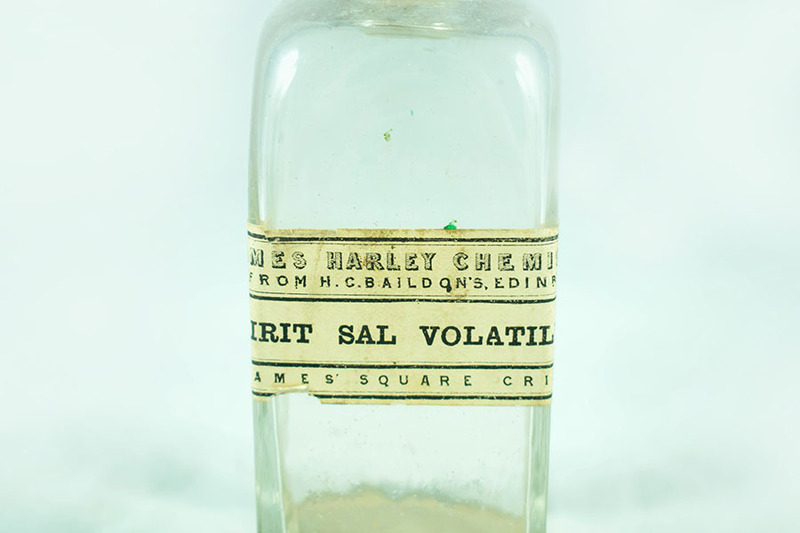 1878-1911); Chemist & Druggist, “Spirit of sal volatile,” Heritage, accessed April 25, 2019, https://heritage.rcpsg.ac.uk/items/show/794. Description: Glass bottle (empty) with printed label. 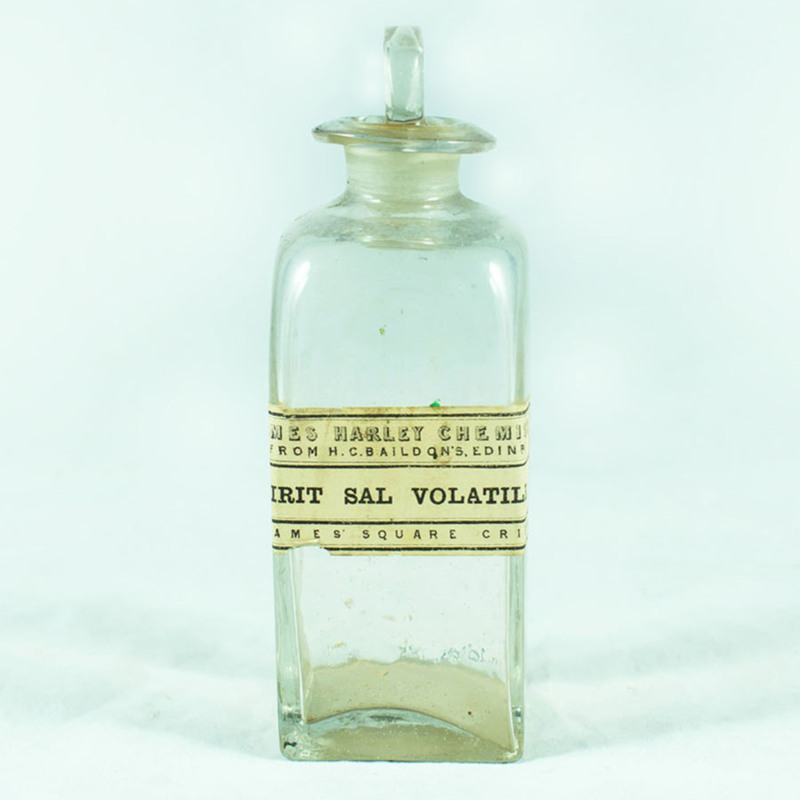 Previously contained spirit of sal volatile (i.e. smelling salts). Part of <a href="https://heritage.rcpsg.ac.uk/items/show/109">George III mahogany apothecary's box</a>.